Initial setting (Machine translation. I am fortunate to tell. )Please take all the work at your own risk. WSJT_HTML requires installation of .NET Framework. Depending on the OS, it is installed as standard. Optional software to perform similar movement as JTDX & WSJT-X similar to famous "EasyPal HYBRID"
☆ Please install and use Digi-Sites,. (WSJT_HEML is running with reference to the Digi-Sites registration list. It is conditional that the received call is registered in the Digi - Sites list. In rare cases, if the received image does not appear in WSJT_HTML, please confirm that Url in RxMsg is correct. Please set the Dirctry location of Digi - Sites of WSJT_HTML again. 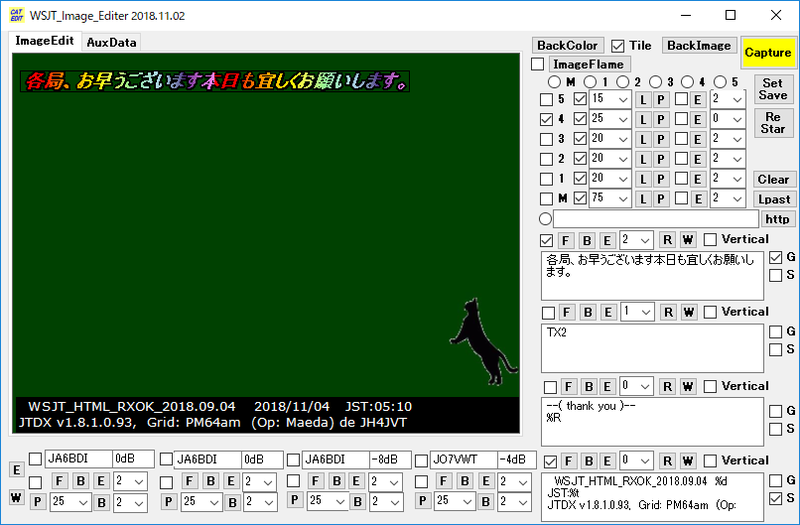 ☆ WSJT-XPlease install. Two modes of JT9+ JT65 orFT8 checked the operation. For the method of setting WSJT - X, please search on the net "WSJT - X. I have a lot of hits. 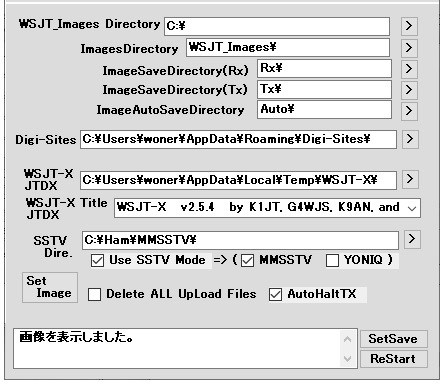 Images are downloaded based on WSJT-X decoded characters. By installing Digi-Sites you can grasp the operation situation of you. ☆ WSJT-X installed? * The following settings will vary depending on the version. Please be sure to check the number of spaces. ☆ WSJT-XIs it installed? * The following settings will vary depending on the version. It is necessary to restart the software after installation. Please check the latest version. 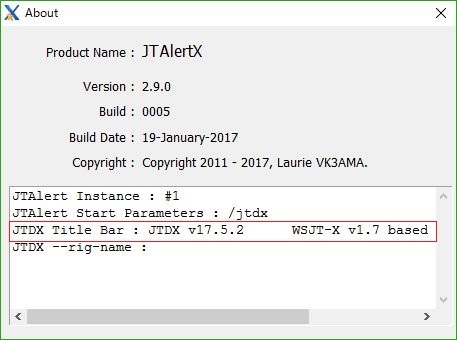 About title name can be confirmed about JTAlert in JTDX JTAlert Help. * To change the version, delete it using the [Add / Remove Programs] tool on the control panel. * Also delete (C:\Users\(Usersname)\AppData\Local\WSJT-X) in the WSJT-X folder and the bug is fixed by reinstalling. 10 Digi-Sites　Designation Digi-Sites Designation C: \ Users \(User name)\ AppData \ Roaming \ Digi-Sites \ Please specify. 12 WSJT-X　Designation WSJT - X Designation C: \ Users \(User name)\ AppData \ Local \ Temp \ WSJT - X \ Please specify. 15 Delete All UpLoad Files Delete All UpLoad Files You can delete the file sent to the server with [Your server UP] at the end. 17 Save Settings Save Settings If you change the save setting, be sure to save it. 18 Setting call(ReStart) Setting call (ReStart) setting call Please be sure to read and reflect the setting. 1, C: \ directly under the WSJT_Images folder. Right click and you can check the html file with "WebBrowser.exe or MediaPlayer.exe". I am grateful for the encounter. Please receive distribution from support.